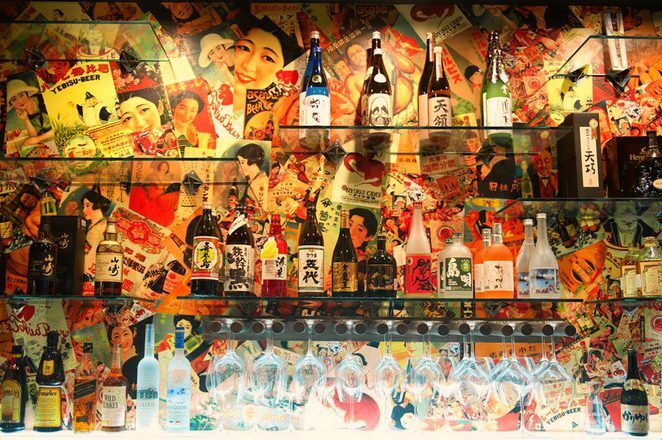 Great looking izakaya and great tasting food. 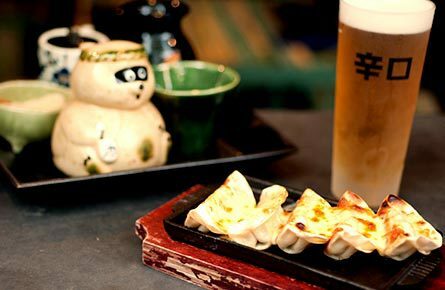 Located in Chinatown near the corner of Bourke St and Russell St is the newly opened Gyoza Douraku. I went there with my girlfriend on a Monday night after a comedy show. I was initially attracted to its modern Japanese aesthetics but then sold by the menu. A waiter explained that the place works like a tapas bar and all plates (6 gyozas) are $6.50 each. The inside looks like a modern New York loft meets traditional Japanese dining. The staff were attentive and everything looked modern and clean. The food was fresh and delicious. We ordered gyozas and vegetable tempura. The chicken and lemongrass gyozas, and the vegetable and chives gyozas were our stand out dishes. We liked it so much we ordered again while we were still eating. I wasn't drinking that night but it wasn't due to a lack of choice. Their drinks menu was packed with every type of Japanese beer and drink I know - and I've been to Japan. The variation in gyozas were fantastic as they can be ordered pan fried, steamed or in soup. There are also main dishes to choose from for anyone who doesn't like the tapas approach. here. It doesn't have their whole menu but is a good example of what to expect. Enjoy.